Kheer with condensed milk – instant rice kheer recipe made with cooked, leftover rice, milk and sweetened condensed milk. 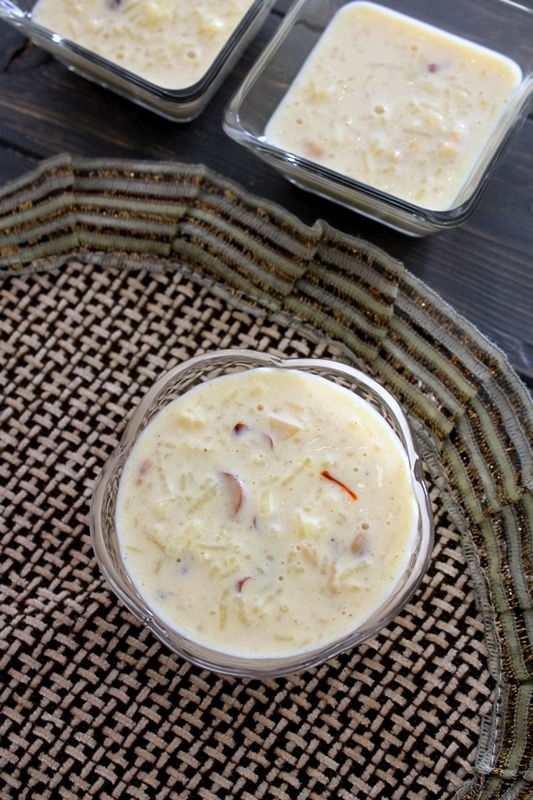 I have already shared the traditional rice kheer recipe. It is made from uncooked rice, milk and sugar. This traditional method is easy but little time consuming as we need to soak the rice for 20 minutes and cook it with milk for about 30 minutes. I usually make it this way because rice grains are cooked with milk, so it has absorbed the rich flavors. But about a week ago, I made it with cooked rice. Also after making carrot burfi, I had leftover half a can of condensed milk in the fridge. So I used that as well in this recipe. The result was too good. I and hubby both liked the taste of it. 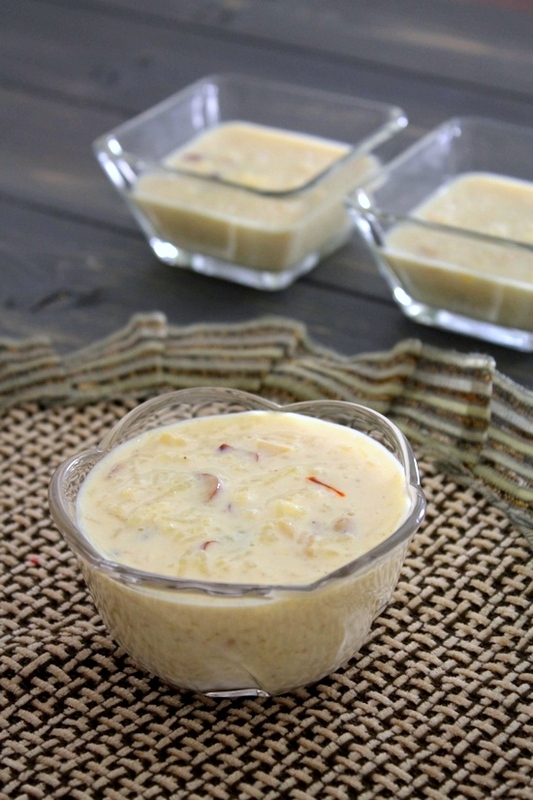 The condensed milk provides sweetness as well as makes the kheer creamy. Also it is already thick, so we don’t need to boil for the longer time to get the right consistency. Hence it saves a lot of time. The procedure of making this leftover chawal ki kheer is very very simple. Just dump all the ingredients in pan, mix it and simmer it for some time. That’s it, it is ready!! During this diwali festival, you might be busy with cleaning and decorating the house, shopping or making snacks or sweets. With this busy prep work, this instant version may become handy. As it takes very less time to make and you will have creamy, delicious dessert ready for your family. 1) take cooked rice in a pan. 3) Also add sweetened condensed milk. 4) Add chopped nuts and saffron. 5) Also add cardamom powder and nutmeg powder. In short, mix everything except rose water in pan. 6) Mix well. Turn the heat on medium. 7) Let the mixture come to a simmer. 8) Let it cook for 12-15 minutes. Do stir occasionally. Cook till it is thickened. 9) How to check right consistency: take spoonful/ladleful of it and pour it back. rice and milk should fall together in the same flow. They should not be separated like milk will get poured back and rice stay in the spoon. Once you get this consistency then turn off the stove. 10) Lastly add rose water. 12) It is ready to serve. You can serve it warm or chill in the fridge and serve cold. Serving suggestion: It can be served warm or chilled. If serving as a dessert as such after meal, you can have warm or chilled. But if serving with poori then I would recommend serving warm kheer with poori. take cooked rice in a pan. Add milk and sweetened condensed milk. Add chopped nuts, saffron, cardamom powder and nutmeg powder. In short, mix everything except rose water in pan. Mix well. Turn the heat on medium. Let the mixture come to a simmer. Let it cook for 12-15 minutes. Do stir occasionally. Cook till it is thickened. 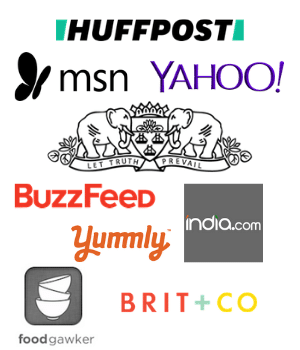 How to check right consistency: take spoonful/ladleful of it and pour it back. rice and milk should fall together in the same flow. They should not be separated like milk will get poured back and rice stay in the spoon. Once you get this consistency then turn off the stove. Lastly add rose water. Mix well. Does it matter if I use boiled and drained rice or the starches need to be intact in the rice?